Max Planck Institute for Informatics (MPII) and Saarland University, Saarbrucken, Germany. 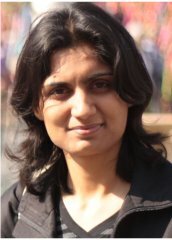 Ph.D. in Computer Science (01/2010-Present). MPII and Saarland University, Saarbrucken, Germany. M.Sc. in Computer Science (04/2008-12/2009). B.Tech. in Computer Science and Engineering (08/2002-7/2006).